Dry azuki beans in a pile. 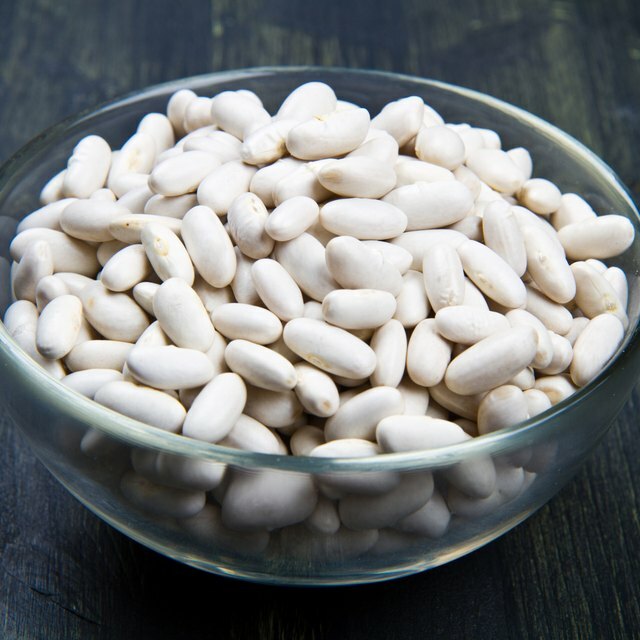 The small, red azuki, or adzuki, bean may play a valuable part in your weight loss plan. Eating azuki beans may satisfy your appetite, help you manage your blood sugar and curb sugar cravings. In Asian culinary traditions, the azuki bean has warming properties, which may boost your metabolism. The complex carbohydrates in azuki beans provide low-fat energy to carry you through your daily activities, while the fiber will fill you up and help you resist the temptation to eat less nutritious, high-calorie foods. Azuki beans have an honored role in Asian cuisine, where they are often used for ceremonial dishes. With their sweet, slightly nutty flavor, azuki beans are a popular ingredient in Japanese desserts. 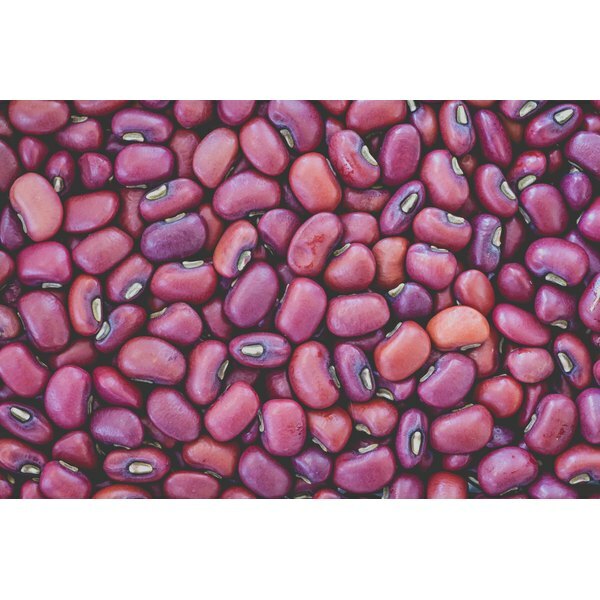 In macrobiotic cooking, which is heavily influenced by Chinese medicine, azuki beans generate warm energy and may have a mildly stimulating effect on your system. When cooked with lotus seed and lotus root, azuki beans are said to promote vitality and a long life, according to Michio Kushi, author of "The Macrobiotic Path to Total Health." Azuki beans are naturally low in calories, fat and sodium. For 294 calories, one cup of cooked azuki beans without added salt provides 30 percent of the recommended protein intake, 60 percent of your recommended intake of fiber. This serving also provides 26 percent of your iron recommendation, over 30 percent of potassium, magnesium, phosphorus and copper recommendation, over 25 percent of zinc and over 60 percent of your daily manganese recommendation. The essential nutrients in azuki beans make them well worth their caloric content. Azuki beans are available in many Asian markets and health-food stores. After soaking azuki beans overnight, you can boil or bake these small, highly digestible beans or prepare them in a pressure cooker. You can eat azuki beans as a side dish, with rice, in soups or in desserts. The fiber in one cup of azuki beans represents a significant portion of your recommended daily intake -- 25 grams of fiber for women under the age of 50, and 38 grams of fiber for men under 50. Soluble fiber helps you control your appetite by promoting satiety, the sense that you’re full and have had enough to eat, according to the 2013 "International Journal of Obesity." Beans contain soluble fiber, a type of fiber that helps keep your blood sugar stable by slowing the digestion of carbohydrates. When you eat foods that provide sustained energy without significant fluctuations in your blood sugar, you may be less likely to experience energy slumps that prompt you to snack on high-calorie foods. The sweet flavor of azuki beans, combined with their high fiber content, may help you resist cravings for desserts or snacks made with refined sugar. In Japan, azuki beans are an ingredient in pastries, ice creams and other desserts. Combine azuki beans with brown rice, cinnamon, raisins and warm skim or soy milk for a dessert or breakfast treat that can satisfy your hunger for something sweet while providing fiber, protein and low-fat complex carbohydrates. The Macrobiotic Path to Total Health; Michio Kushi, et al. Which Vegetables Produce the Most Testosterone in Men? What Are the Health Benefits of Eating Moong Dal With Basmati Rice?